Almost a year ago, I purchased this set of Melmac dishes from Auction Junkies. I wanted to get some child-friendly dishes for Finley; something small that would fit on his highchair tray—and that could withstand the occasional fall (or toss!) to the floor. 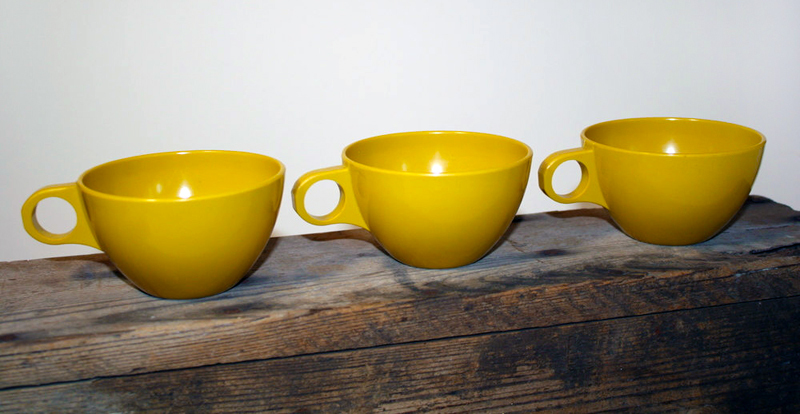 This inexpensive (just $12 plus shipping) odd set with three cups, multiple saucers and shallow bowls, has seen daily use. He stores the dishes in his play kitchen, so they see double duty: for food and for fun.